Emerald goes to an expensive school and there's always money at home. However, she doesn't come from a happy family. When she finds her mother on the bathroom floor, unconscious and barely alive, Emerald thinks her family has hit rock bottom, but can things get worse? Emerald doesn't know that a lot of information is being kept from her. 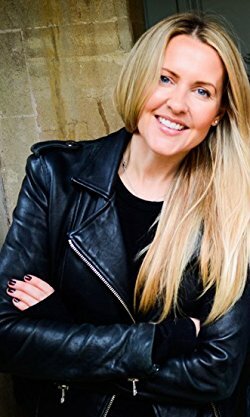 She only discovers there are family secrets when she travels from England to Ireland to stay with her grandma while her mother is recovering. Emerald's dad is too busy with work to be there for his daughter. Will Emerald be okay now that she has to spend the summer with a grandmother she hasn't seen in years and has no friends to keep her company? When Liam meets Emerald there's a spark. She's in his hometown for the summer and he wants to get to know her better. Emerald is happy she can spend time with someone friendly and loves his passion for music. Soon she falls for Liam as much as he's fallen for her. Unfortunately secrets of the past are quickly coming between them, will they have a chance together or will this tiny bit of happiness for Emerald be ruined as well? Is what they're feeling true love and what if it is, can they find a way around their problems or aren't they meant to be with each other? No Filter is a beautiful love story about two teenagers who struggle with their parents' issues and expectations. Emerald and Liam are good people with kind hearts, they have a pure and strong connection, but life is tough and this makes it difficult for them to truly explore their feelings for one another. Their relationship becomes complicated due to many unforeseen circumstances and my heart ached for the two teenagers who are so right together, because nothing is simple and they are far from carefree in a time they should have been. Orlagh Collins describes their struggles, frustrations and questions, and fortunately also the fun they have together, in a great realistic way that immediately warmed my heart. No Filter is a fantastic story. Orlagh Collins has an open descriptive writing style that immediately appealed to me. She clearly understands what it's like to have difficulties at home and describes the problems Liam and Emerald are dealing with in an honest and serious way. I loved that she understands that a soulmate can be found at any age and like that she's chosen the topic of real love at a young age for her story. I'm a big fan of the subject and her execution is flawless. 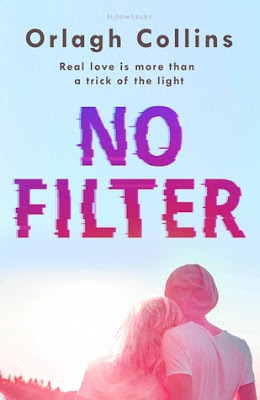 I loved No Filter, it's a brilliant story, it's one of the best YA books I've read this year. If you love stories about complex true love No Filter is an absolute must-read. I live in Somerset with my husband, two children and our marvellously mad dog, Mildred. I love strong coffee and 80's teen movies. I swear like a sailor. I also make films. Two very lucky readers of With Love for Books will receive a signed paperback copy of No Filter. I haven't read a YA book for a while. No Filter sounds like a beautiful love story. this looks like a great story! I enjoy romance stories. Especially if the characters read genuine and there's a happy ending:) I also believe love comes to people at any age and time in their life. This sounds like an amazing story, thanks for the review and giveaway! Sounds like a fab read! Wow, this storyline already has me hooked. Looking forward to reading your works. I'm so excited to read it. This is exactly my cup of tea. It sounds a really interesting story. Thank you for the giveaway! I'd like to see how Emerald's & Liam's relationship develops.